Providence, Rhode Island is always bustling with a different event happening almost every weekend. What happens in Providence during the week or on an off-weekend, and what is there to do for all of us locals, especially during summer vacation? 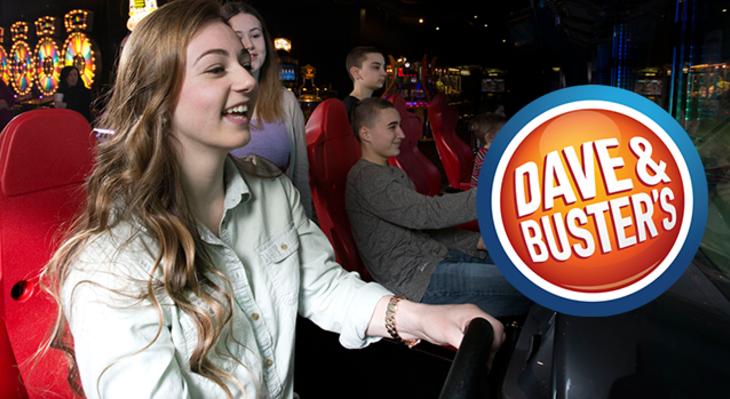 Dave & Buster&apos;s is the place to be with "The most fun you can have, all under one roof!" Specials happen every Tuesday, Wednesday, Thursday and Sunday, and special packages are also offered to groups. Every Tuesday enjoy a new twist on Taco Tuesdays with Tacos and Games featuring $1 and $2 tacos. On Wednesdays enjoy half-priced games. Thursdays are Thirsty Thursdays and patrons with a valid student ID receive a free $10 in game play when they spend $10 in game play. Sunday is, and always will be, "Fun day" with specials changing weekly. Call for details at (401) 270-4555. Between now and August 23, play three of Dave & Buster&apos;s new games for free with the purchase of a $10 Power Card. In addition to the weekly specials, discover the Ultimate Social Party Packages, Youth Packages, and the Eat and Play Combo daily. Stop in and discover the newly renovated and reimagined Dave & Buster&apos;s Providence. For more information, please call (401) 270-4555 or visit daveandbusters.com.